BEETROOT LEGS AND BASKETBALL KNEES! Quite a few of you will know that early in January, I had a ‘statutory’ appointment at a local hospital with an orthopaedic surgeon (hospital regular checkup). It wasn’t the ‘usual’ surgeon, which didn’t bother me – until he did something with my right knee which then – and to this day – I can’t understand what he was doing or trying to achieve. Knees, as I’m sure you know (!) are designed to bend backwards and forwards: this doctor took hold of the sole of my right foot (quite hard), and pushed his left hand against the side of my right knee – and then proceeded to pull my foot hard towards him, and push my knee hard away from him. The bone-cracking noises were awful: the pain so unbelievable I wanted to scream. The pain in them is strong enough anyway without this doctor’s action. I have to confess that I said to him, when I could breathe again, that if he did the same to my left leg, that he might have to be prepared for a broken nose…. When I put my right leg down on the floor, I knew I wasn’t going to be able to stand on it, let alone walk: in fact, I couldn’t walk at all for the next 4 days, even going from my living room to my kitchen (about 15 feet/ 5 metres) on my stomach, rather like a snake…. And the truth is, 6 months on, I can still hardly walk: I’ve forced myself to walk, to do some meetings, and in May, I went to Colombia. 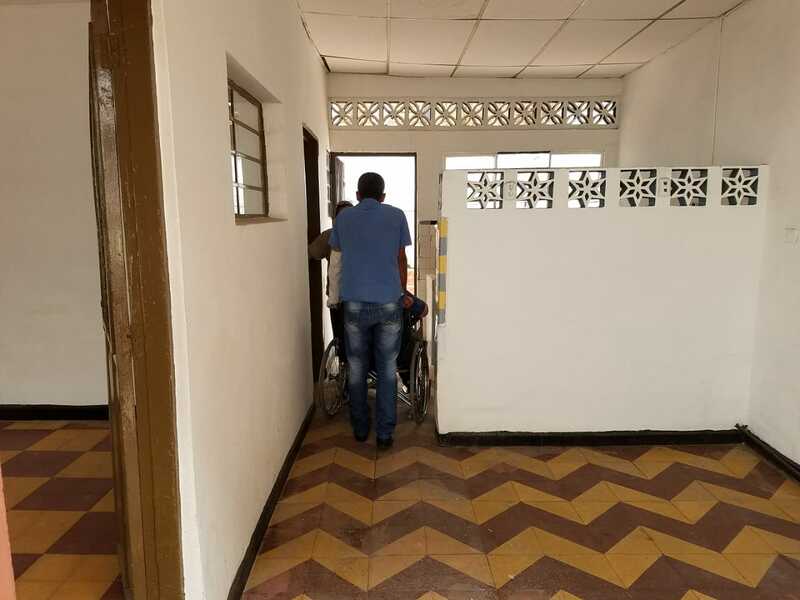 I knew it would be difficult, and knew I’d have to walk a fair bit, so I swallowed my pride and rented a wheelchair, the first time I’ve ever had to go down that route. It feels as though the doctor has permanently damaged my right knee. I know that there are many who’ll tell me to have the knees replaced, but there’s a 2- 2½ year waiting list, so I don’t have anything to gain by just saying ‘put me on the list’ – until God intervenes and heals them. One morning early in the trip, I was due to go to see a doctor I know for steroid injections into the knees, to ease the pain and make walking – and standing up, to preach. My legs felt ‘odd’ and when I looked at them, it appeared that someone had stood me up to my thighs in a bath of beetroot juice! And boy, were they sore! My legs swelled up, and swollen knees that already struggled to bend was not helpful. 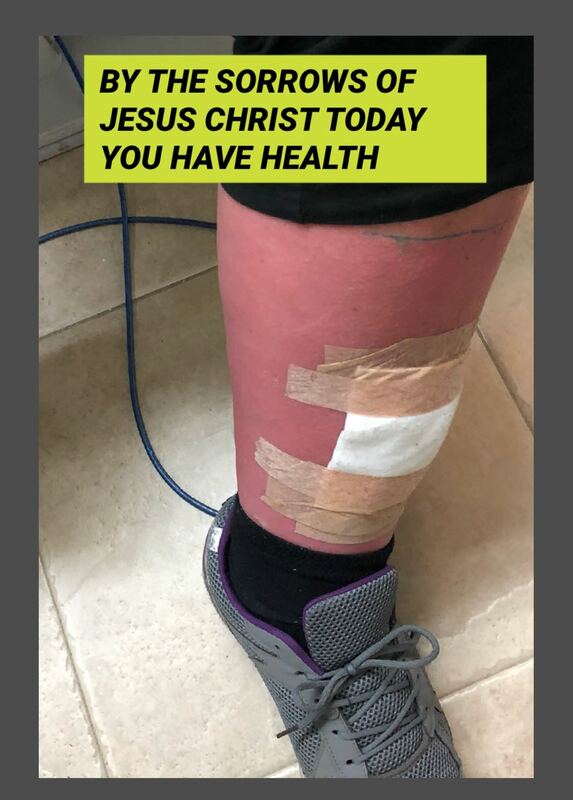 The picture below was about 50% of the inflammation of that first morning: the caption and picture were posted by the lovely Christian dentist/Pastor, Ana Lucia Arbelaez. Rightly, the orthopaedic doctor wouldn’t pump my with steroid, as he didn’t know what was wrong with my legs. I was recommended to see a doctor – who it turned out I knew(!) – a pastor and a doctor, a medical doctor and a naturopath, Gustavo Escobar. I’ve preached in his church, but not for about 10 years: he’s a great doctor, even better, he’s great fun! One look at my legs, and he’d diagnosed chronic cellulitis – a bacterial skin infection that can be very serious. Seems it can become sepsis: and causes circulation problems – blocked veins, and – it seems – I have acquired a blocked artery in my heart. 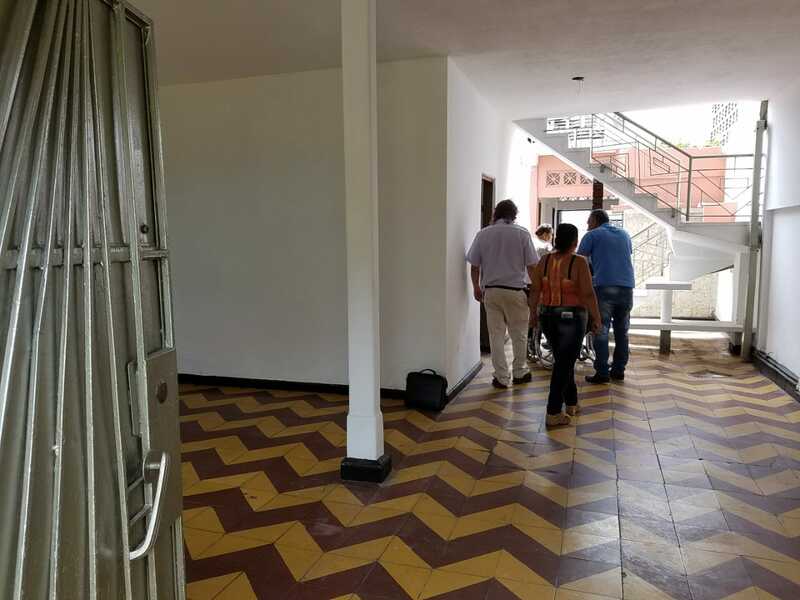 So with long-haul flying being a cause of deep vein thrombosis, much as it ‘hurt’ not to go to Colombia, wisdom told me not to take on a 10 hour flight, even though on this trip I’d have had some assistance walking or in a wheelchair from Thanney. The enemy nagged away at me saying God will look after you’ – yes, I know he can, but he’s also given me wisdom, and the doctor suggested I’d made a good decision! I won’t deny it was hard when giving Thanney a final hug as we said goodbye! I would ask for your prayers for total healing – not just for the cellulitis, but with a 2½ year waiting list for replacement knee surgery (which I’ve never felt right about having anyway, if I’m honest) I believe that God IS going to heal the knees. Today I had two ‘words’ from very dear spiritual friends: I’d posted a quote on Facebook – ‘If you can’t see it before you see it, you’ll never see it’ – and these friends, Brian Louden and Rene Martal, unconnected with each other (in fact in different countries – England and France, responded: Brian ( (PS – I’ve “seen” you with healed knees). Be healed.) and Rene (That’s strange Paul, I had the same vision of your healed knees this morning ! I don’t know how, but I think something good will take place) so – what the enemy means for harm, God means for good! The inflammation IS going down, and I’m asking God to heal them – knees and cellulitis – by the time Thanney comes home on 31 July! And for the veins and arteries to be completely clear, too….. THE JOY OF RESCUING STREET CHILDREN & A NEW HOUSE FOR THEM!! 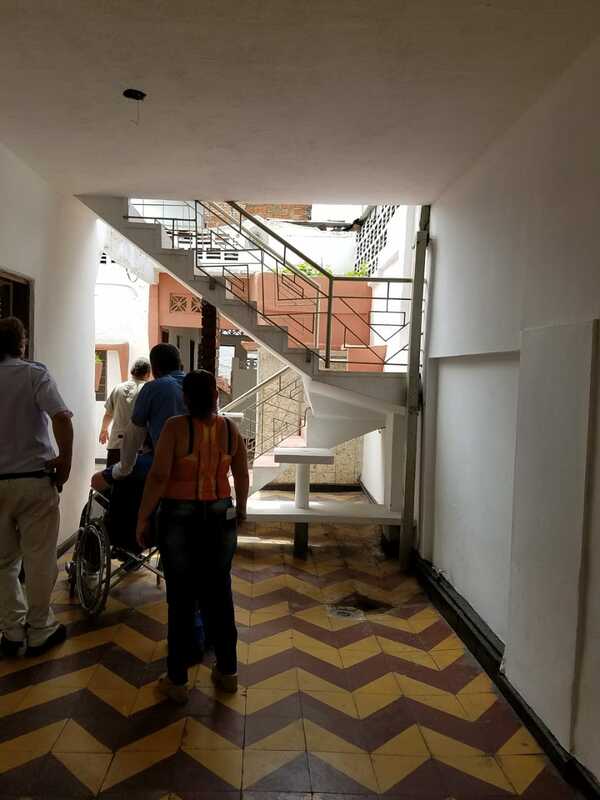 If you’ve read the posts here for some time, you might remember that in October 2016, I took a team to Cali, Colombia primarily to restore a house, in a very tough and dangerous area, to be used by a wonderful street kid’s ministry, headed up by Ophthalmic Surgeon Dr Ana Elisa Bustos Gomez. Ana Elisa – then – had 150 kids she looked after a number of days a week (in case you’re wondering, she generally works a 21 hour day! 100% true! ), and funded the feeding, clothing, medical attention, and so on, our of her own salary – which is small even as a surgeon. As well as the kids, she also cared for and fed around 40 adult street sleepers, also self-funded. Ana Elisa desperately needed a house where she could gather the kids together – to feed them, teach them – educational and Christian, teach them a skill/trade, clothe them: somewhere where she could prepare food for almost 200 people (she did it all in her apartment in her lunch break). She found a house in a barrio known as Popular: I’d got a team of 6 with me (including me, so where building was concerned, I’d got a team of 5! – I’m probably the world’s most unpractical man! ), headed up by my good friend Thanney Pyper. The first day we were there, much to his devastation, he had to condemn it – the foundations had been washed away by raw sewage, there were no pipes connecting the toilets to the sewers, they just emptied into the foundations…. The need for such accommodation is vital, urgent. Really small children are forcefully drugged by drug cartel members, generally cocaine, from which moment they’re addicts, and used by the cartels as ‘mules’, delivery boys/girls to take drugs to ‘clients’, and their lives are destroyed from a very early age. We’d love to build dozens of safe houses as there are countless street kids for whom this life is their future. When we had to condemn that first house, we made a commitment, 20 months ago, that we’d find somewhere to build / convert to accommodate loads of kids, as the thought of thousands of kids destroyed by cocaine, is too much to bear. Colombia’s economy is improving a great deal, and these kids have a future if they can be educated, taught English, taught a trade, etc., and not turned into addicted zombies….. Seven weeks ago, I went to Cali, with friends Ian and Jeff, from the USA, and we found a house that would seem to be ideal. It’s big – 30 ft (10 mt) wide, and 80 feet (25 mt) deep: and, while at the moment, it is 2 storeys at the front (30 x 20 ft), the whole house is convertible to three storeys front to back. I was going out again to Cali, with Thanney, this week, for the expert builder to assess it, and begin work on it, God willing. What’s more,it is only about 800 yards from the house that was condemned 21 months ago (thank you Lord – perfect positioning! ), and the owners are very excited that we want to improve the quality of life in their area, and take so many street kids off of the streets. The joy of knowing that the house will ‘rescue’ several hundred children at extreme risk, and provide facilities for many street adults to eat, shower, do laundry, is just so rewarding. We had a real sense that God is ‘in’ this house, as it is in pretty good condition as it stands: much better condition when Thanney has worked his genius on it. AND it is for sale at a crazy price bearing in mind that the Colombian economy is improving so rapidly. The ‘condemned’ house would have cost around 200,000,000 (200 million) pesos THEN, and needed demolishing before anything could begin to be built. 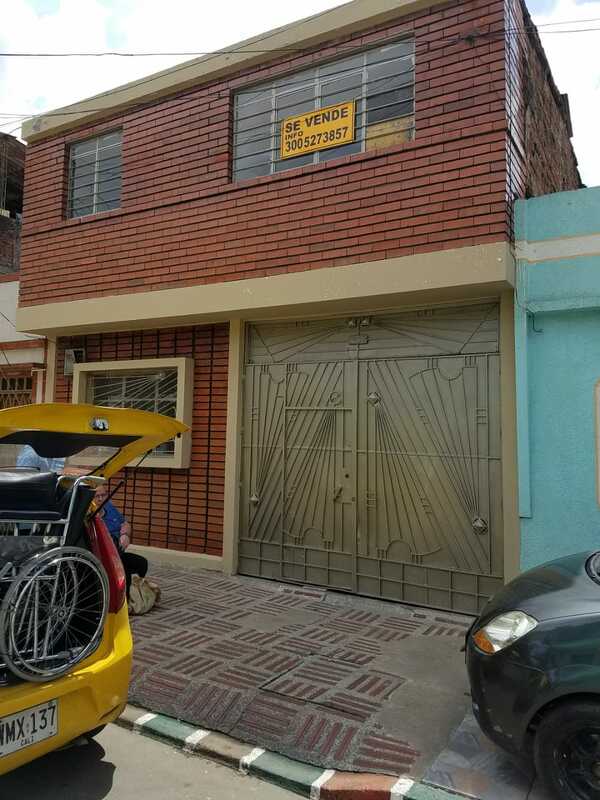 This one – again because the owners are happy – is 148,000,000 (148 thousand) pesos – £38,000, US$48,000, Euros 45,000, AU$70,000. Please pray for Thanney as he flies out tomorrow (Friday 6th July) to assess/estimate what can be done with the house, and what it will cost to transform it. To see Ana’s face when she knew we were interested in the house, and would do everything in our power to acquire it, was such a blessing. Though she’s a doctor (and most of her salary goes on street kids and street people), her life is really given over to saving and helping street kids and people. She loves them with a passion. Her daughters want to help a day week – one is a doctor, one is a dentist, so the kids will have good medical and dental care free. This house really IS an answer to prayer: please pray for Thanney, the finances for the building, real wisdom for Thanney as he ‘redesigns’ the house, and then dons his ‘quantity surveyor’ hat to work out the cost of the renovation. We’d so covet our prayers.